"The more people say you can’t, the more you can. The more they talk negatively, the more you fight. You have to think about bettering your life and go after it. I don’t care what you got to do. You only have one life to live, so do your thing." In one moment, with one tearful, touching performance of "Summertime," Fantasia captured the hearts, and the votes, of millions of "American Idol" fans. Her powerful voice and independent style made her an overnight national sensation. But life wasn’t always sensational for Fantasia.Fantasia could have been just another sad statistic. At the age of seventeen, despite the promise of her extraordinary voice, she was just another young girl who dropped out of high school, a baby on her hip. Her life and her plans for her future seemed to be going nowhere. The choices she had made were closing every door to the life she had hoped to live. But Fantasia had been raised by strong women of faith. Both her grandmother and mother are preachers. She was raised with an unshakable faith in God, the kind of faith that she needed when it came time to rethink her choices and redirect her life. Fantasia hoped that by using her gift to inspire others, she would be able to someday take care of her family and herself.Now readers can share the intimate moments of her life. 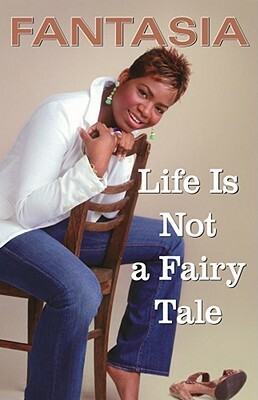 In "Life Is Not a Fairy Tale, " Fantasia offers a deeply emotional look at her rise to the top and the life-altering revelations she came to during her lowest moments along the way. With a spirit as strong as her voice, she speaks with heartfelt, humorous frankness about what it takes to get off the wrong path and onto the right one. Fantasia confides in readers, walking with them through the trials of her family life and loving a man who didn’t love her, through the challenge of being a baby mama to managing the joys and pressures of fame. She turns all that she’s learned into uplifting life lessons, including: - Recognize your gift- You made your bed, now lie in it- Give props where props are due- Like mother, like daughter- It ain’t about the blingFantasia keeps it real with her sassy, self-confident style and down-to-earth advice, making readers laugh and cry with her. Fantasia’s story will inspire readers to believe in themselves and have the faith it takes to reach for their greatest potential. Tell us what do you think about Life Is Not a Fairy Tale.